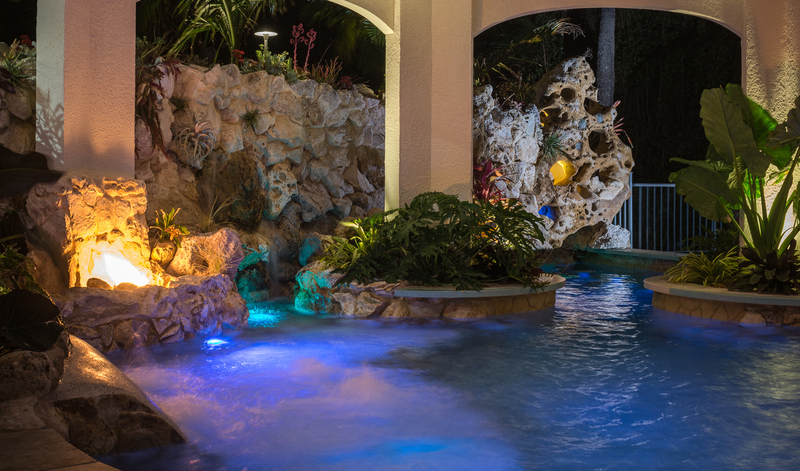 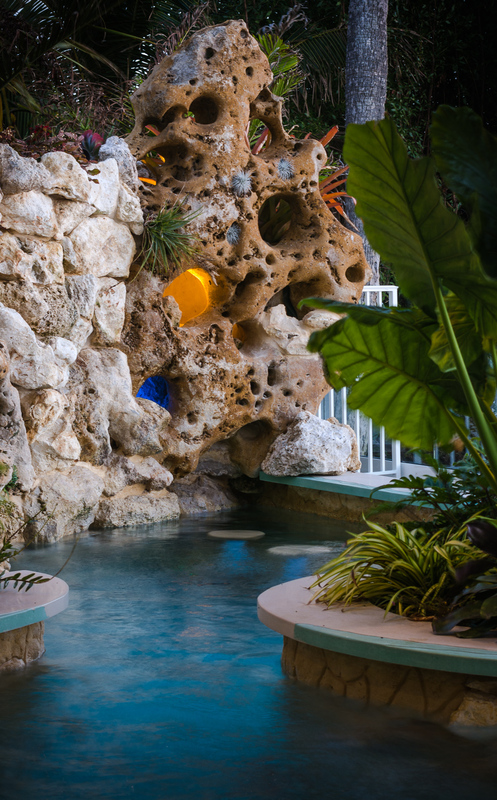 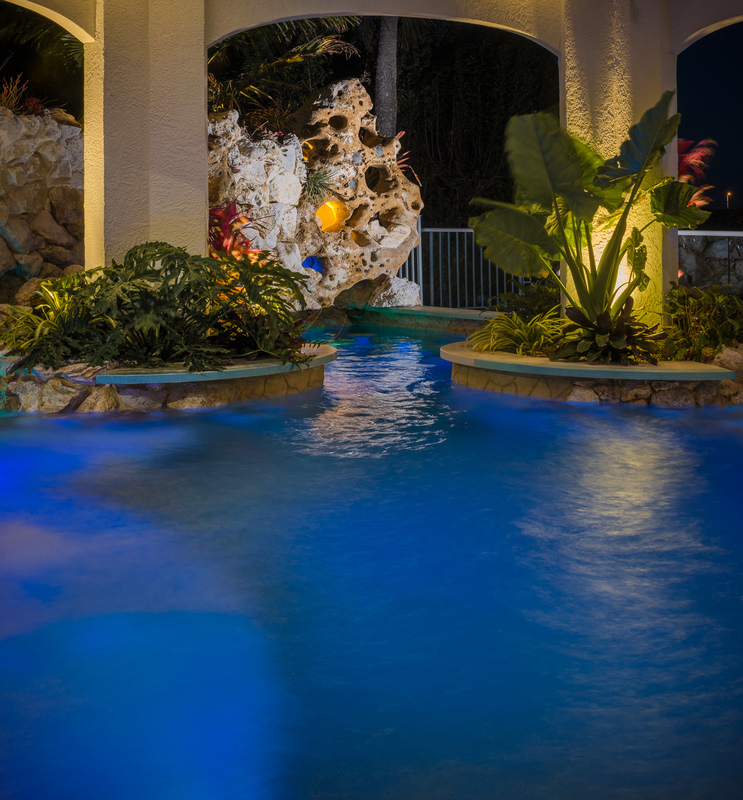 Pool designer Lucas Congdon must create an outdoor water room in which a mermaid could live. 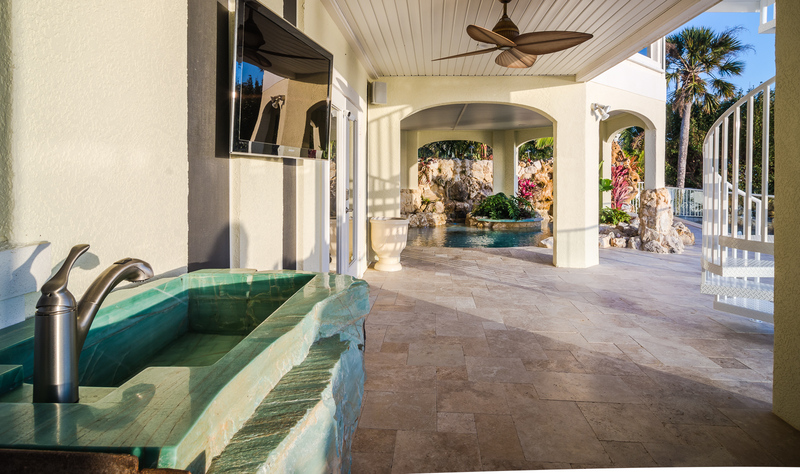 Former clients in love with all things ocean ask Lucas to remodel the tiny pool in their new home that sits just yards away from the Gulf of Mexico. 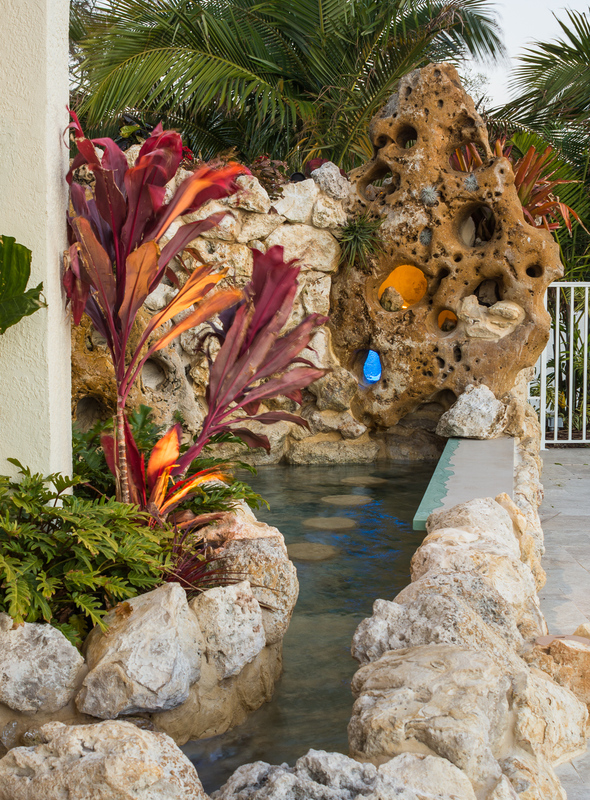 Starting with a tiny pool under the house and little room to work, the Cortez, FL project presented some serious obstacles for the Lucas Lagoons crew. 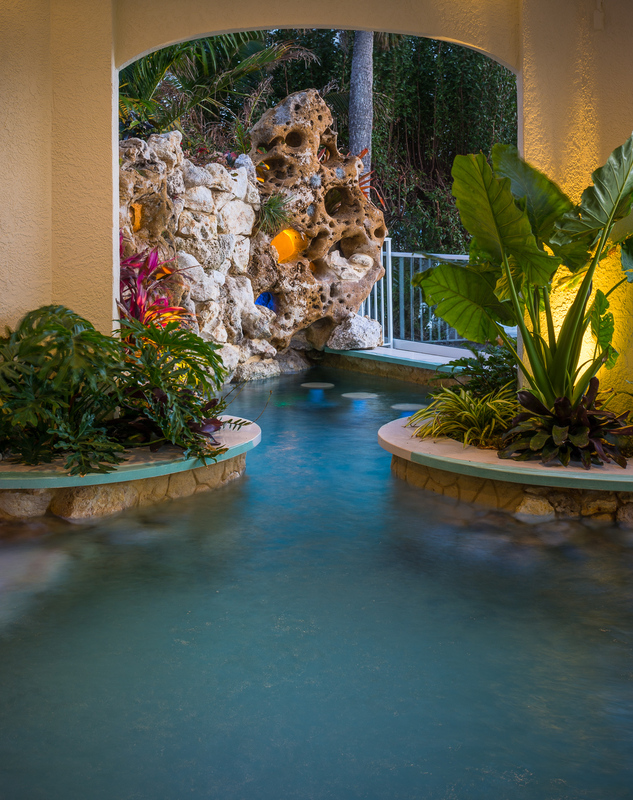 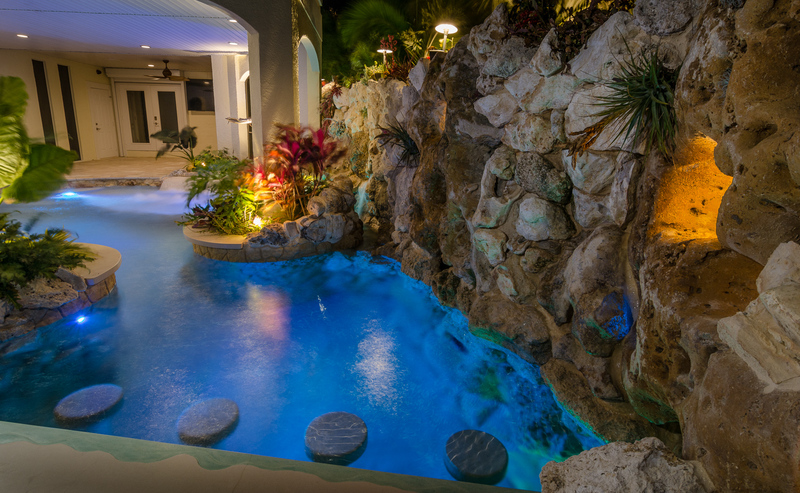 While the weather and minor bumps and bruises to the house could have potentially slowed the project, this custom designed lagoon pool shines through with exactly what the clients wanted. 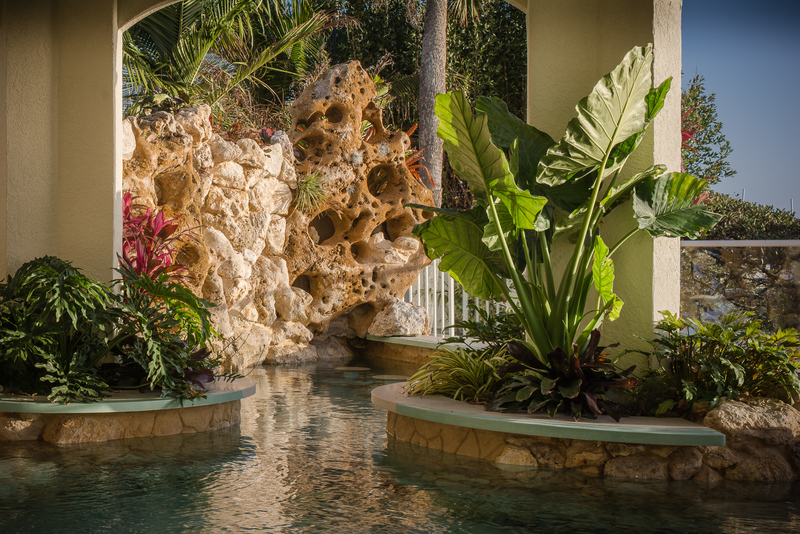 Instead of building a pool to fit the house, the natural lagoon pool feels as though the house was built around it. 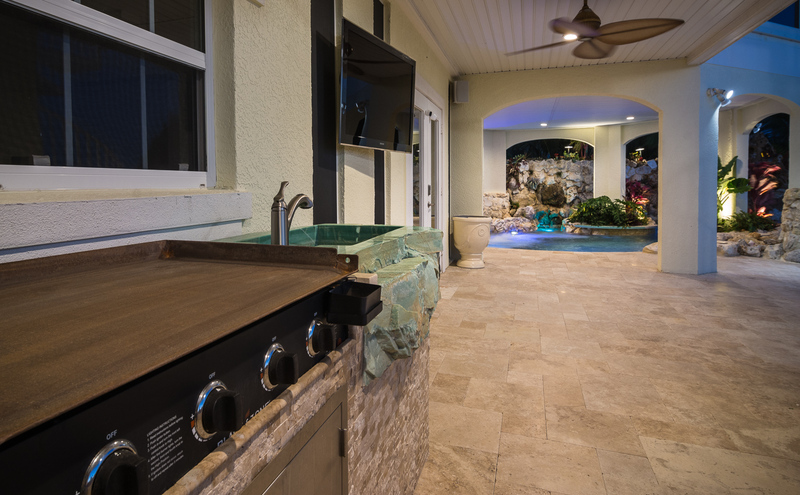 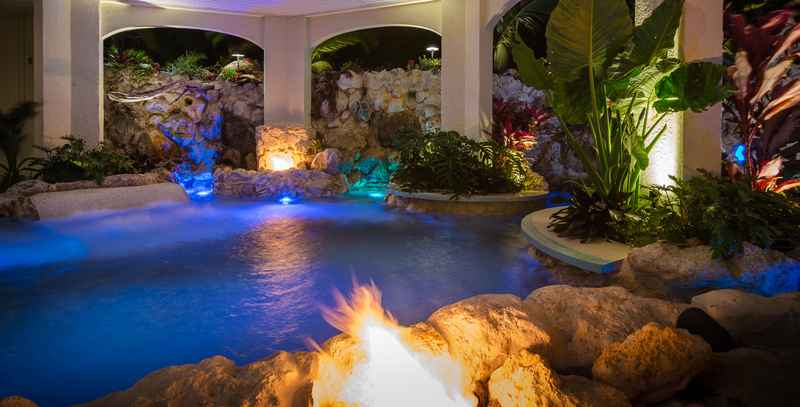 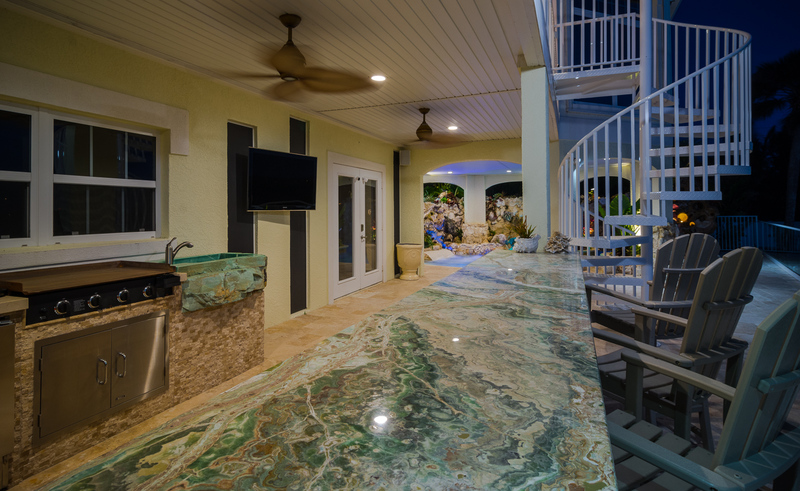 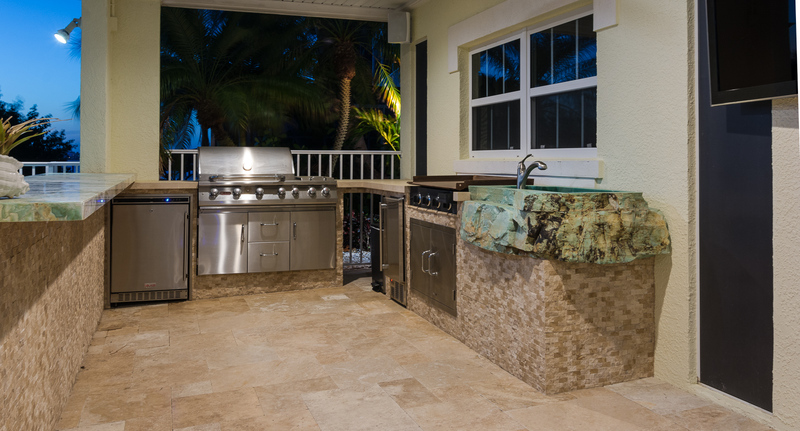 With tons of natural Florida limestone for a true coral reef look, a sand bottom, dual fire pits, in-pool barstools and bar tops, love seat with therapy jets and a massive outdoor living area, this pool and outdoor kitchen remodel extends the home to the waters edge.